Ceil Dyer's The Newport Cookbook is a look back to the glory days of Newport. From its founding through the very early 1900's, Dyer gives a glimpse of the food and frivolity of Newport. Beginning with Roger Williams who founded the Rhode Island colony and invited the Indians to join him in boiled fish and succotash, the book moves from the first settlers to yachts and private clubs. The book begins with the boiled dinners served in places like the White Horse Tavern, operating in 1673. Early Newport was the very picture of Americana with blueberry slumps, cranberry sauce, and rabbit stew. As the years progressed, Newport became the great escape from the sweltering heat of Southern summers. Plantation owners were quickly followed by the proper Bostonians as lavish boarding house sprung up. Lured by the sea air, the boarding houses were soon replaced by larger and larger summer homes or "cottages" as they were often called by their owners. The late 1800's saw the rich and powerful flock to Newport. 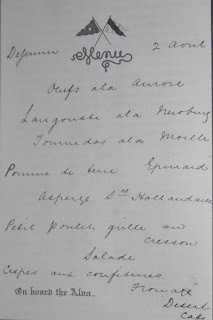 The American cuisine of original colonies was replaced by a continental haute cuisine steeped in the cuisine of France. 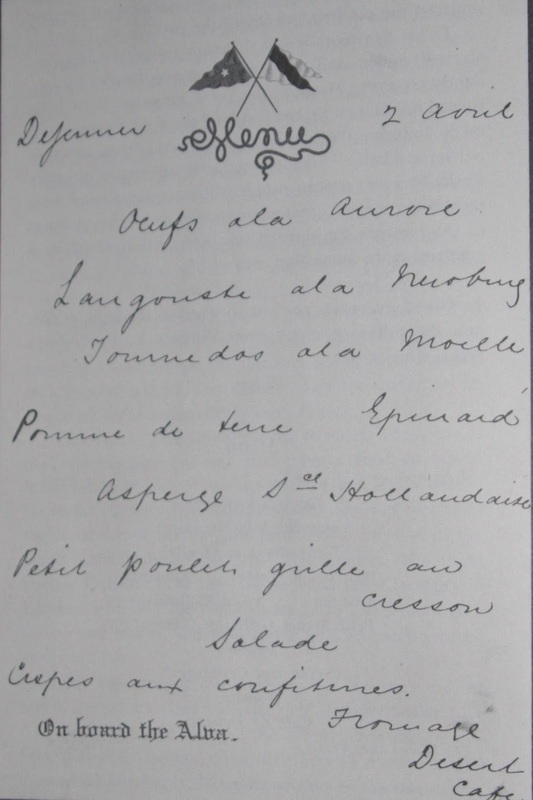 The following recipe for beef in a marrow sauce came from a menu served aboard William Vanderbilt's yacht, Alva. Sauté the tournedos in the butter and oil over fairly high heat until done to taste. Place the toast rounds on serving plates. Top with the tournedos and ladle the Moelle Sauce over each. Garnish each serving with watercress sprigs. Have your butcher extract the marrow from the bone and dice it. Place the marrow in simmering water until soft. Remove with a slotted spoon. Drain and set aside. Place the wine, shallots, thyme, bay leaf, and salt in a saucepan over low heat. Let come to a boil, then lower the heat and simmer until reduced to about 1/3 cup. Strain through a colander lined with cheesecloth. Melt the butter in a second saucepan and stir in the flour. Cook, stirring constantly, until the mixture takes on color. Slowly add the beef stock or broth,stirring as it is added. Continue to stir until thick and smooth. Add the strained wine and stir to blend. Just before serving add the marrow and parsley. Like many haunts of the rich and famous, Newport roared through the 1920's right up until the stock market crashed in 1929. 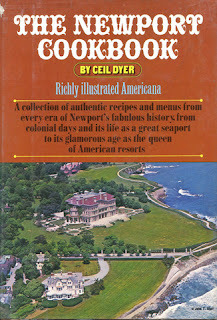 While the heyday of Newport society might be behind us, The Newport Cookbook is reminder of a lifestyle long gone.